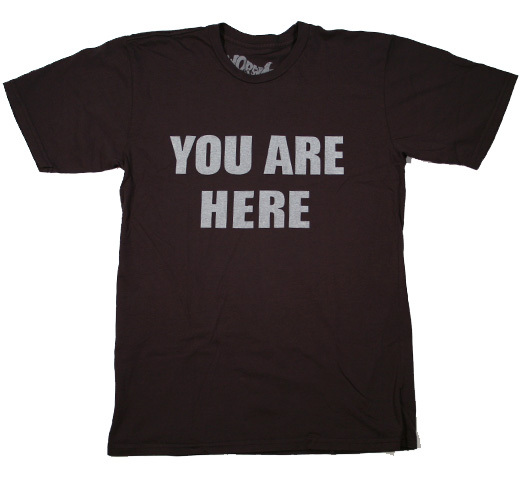 【Worn Free】 John Lennon / You Are Here Tee (Black) - Rudy & Co.
Just months after moving to New York for good from England, John Lennon appeared at a December 1971 benefit gig for families of inmates killed in the infamous Attica prison uprising wearing this “YOU ARE HERE” T-shirt. 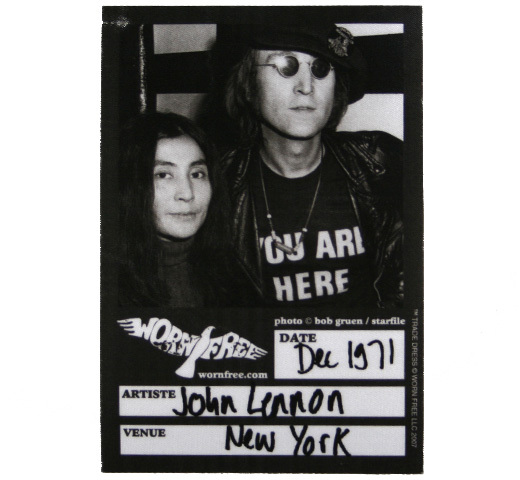 The slogan encapsulated his and wife Yoko Ono’s take on life – carpe diem, seize the moment – as well as being the title of one of Yoko’s exhibitions. 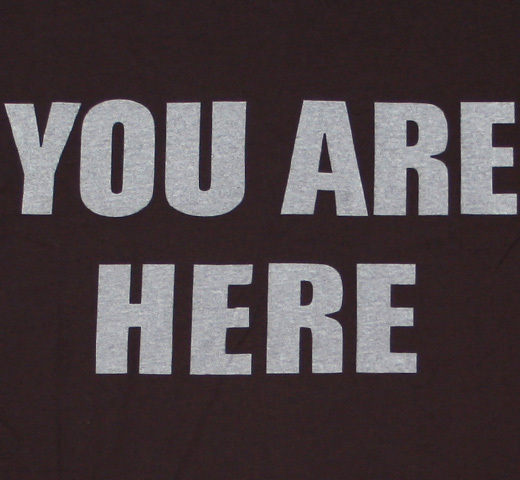 Two years later, Lennon included a track called “YOU ARE HERE” on the Mind Games album, prefacing the statement with “Wherever you are・・・”. In an interview with Melody Maker he summed up his existential philosophy thus： “All the Bibles, Jesuses, gurus, poets and artists have ever said to people is that this minute is the one that counts； not tomorrow or yesterday.